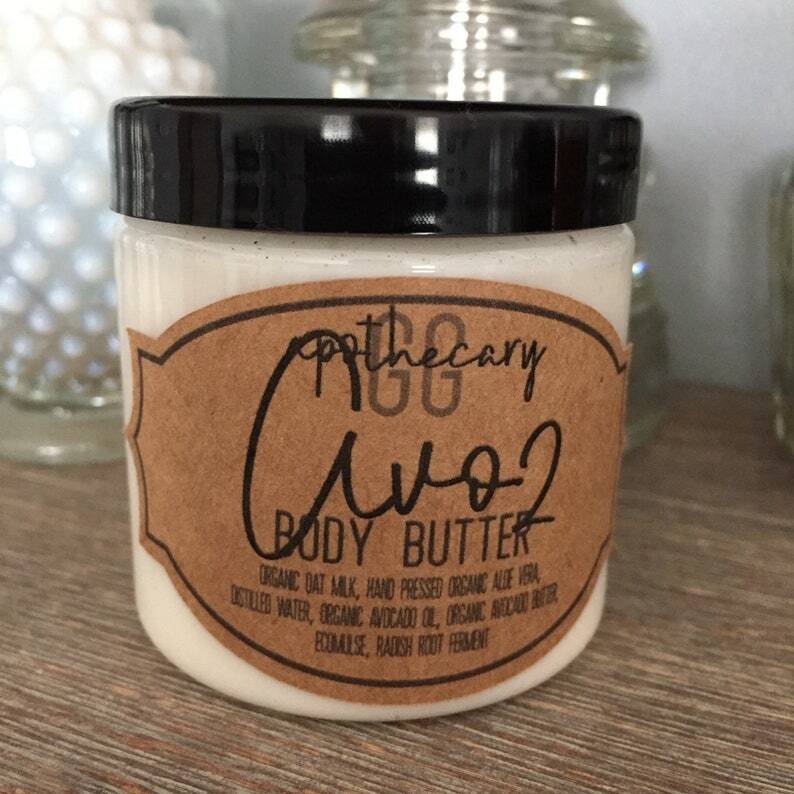 I formulated this super rich body cream with avocado oil, avocado butter, and nourishing oat milk to create a super moisturizing and healing cream for super dry skin. It contains nothing to aggravate, just rich emollients to heal and oats to sooth. It's very thick and very creamy and not greasy. It won't disappear and will moisturize your skin for hours. Take care when applying this that you don't use too much! It's unscented, although the combination of oat and avo is really mild. It is safe for children and babies, too! 🍃🍃 Avocado oil and butter are rich (I'm going to use that word a lot here!) in omega-9 and oleic acid which offer anti-inflammatory properties and mimic our natural sebum so they to be absorbed well by the skin, offering softening and moisturizing effects. It contains Vitamins A, D, and E. It contains phytosterols, which will help itchy or inflamed skin. 🍃🍃 Oat Milk Oat helps smooth and comfort itchy, scratchy, and dry skin. It also creates a hydrophilic film that forms at the skin surface. It consists of humectant and water-binding constituents and lipids. Unlike commercial lotion this lotion isn't full of useless ingredients or alcohol. It might take you a while to get used to only needing a fraction of the amount you'd usually use! All of my creams contain a globally approved paraben and formaldehyde-free preservative to keep it safe. I only use organic and non-gmo oils and butters and use locally sources ingredients when I can! All of my products are soy free. I do not use any artificial fragrances in my creams. I use only eco-cert emulsifiers and thickeners and nothing animal derived. All of my herbs, extracts, and essential oils are wild harvest and come from small batches. ➡ Each jar is 120 grams (about 4 ounces) by weight, not volume.